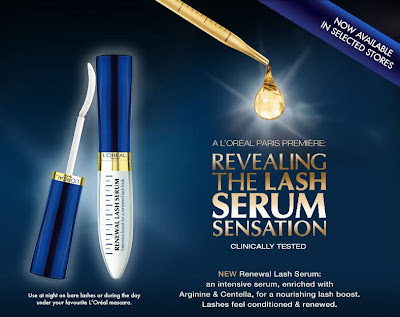 When this product came out, I was pretty curious about it (had this phobia of my lashes becoming bald). Thanks to OnlyBeauty, I got to try it! Actually I signed up for OnlyBeauty years ago and went crazy over it cos it's the best sampling website in Malaysia! You can get free beauty product samples here from various brands and all at no cost. You can check out their website or Facebook page for updates on freebies and product reviews. Love the curves! xD It's really small so I bring it along with me in my bag (so I don't forget). The applicator is a special one. It's curved with a thinner tip for perfect application. How to apply it? First, use the tip and apply the product on the roots as if you're applying eyeliner. 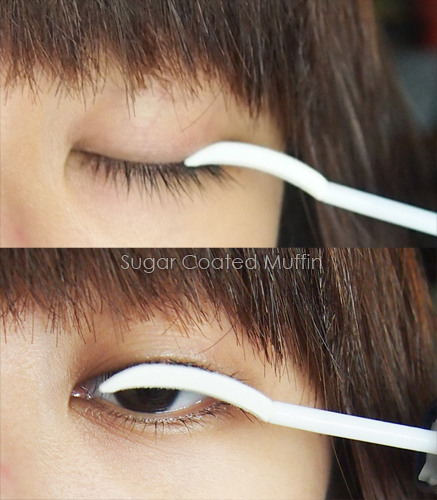 Then, use the curve to sweep your lashes from root to tip like applying mascara. The serum feels cool and refreshing upon application. It's not very watery but is very easy to spread. Dries to almost nothing. I sometimes use this as an invisible boost for my lashes. 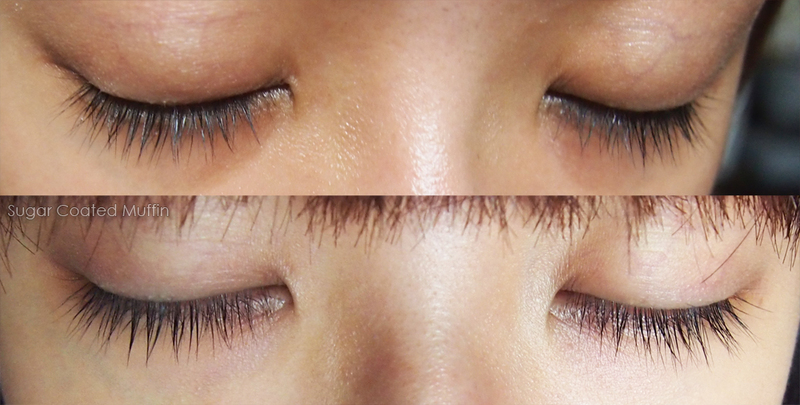 After application, I push my lashes into a curve until it dries and my eyes look more awake. Now.. On to the results! After using this product for almost 2 weeks, I noticed my lashes were slightly longer and each lash was thicker! Also, they appeared to be stronger and straighter, looking healthier. Lash fall was also reduced and I definitely felt the difference as I didn't get poked in the eye with my own lashes as often. I've also managed to clear some doubts about this product. They say : This product burns your eyes! My comment : While trying to take a photo, I literally poked my eye with the wand (do not try this lol) and guess what? Nothing happened at all! I apply this all the way to the base of my lashes and it doesn't irritate my eyes. They say : Product makes my mascara weird. My comment : Tried and mascara goes on like normal. Just make sure you want til it dries. They say : Product leaves very sticky and gooey residue. 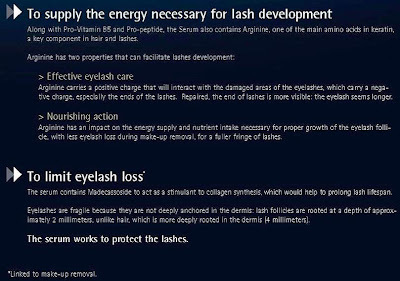 My comment : If you apply it properly as recommended, you will have an appropriate amount on your lashes which dries into almost nothing. 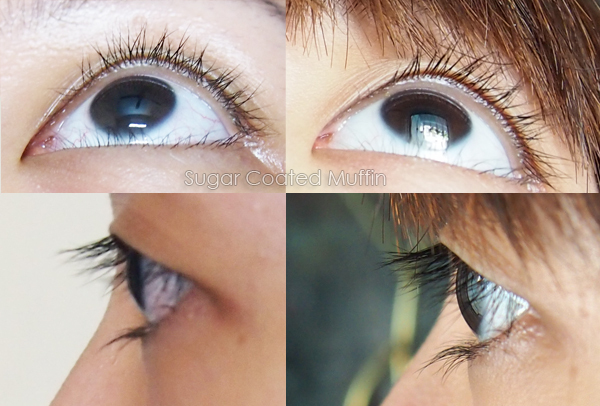 They say : Product makes my lashes drop like mad! My comment : From my experience, yes, my lashes do drop off when I wash my face. 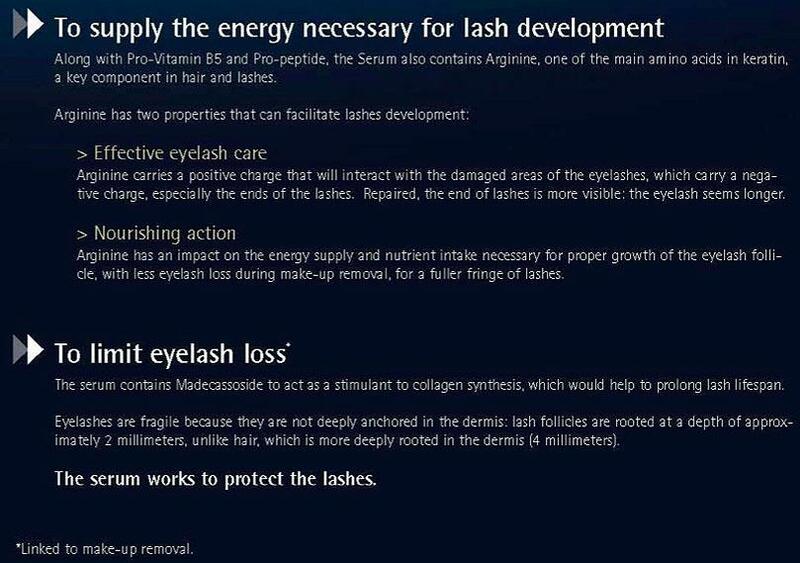 However, I don't think this means the serum makes my lashes drop. 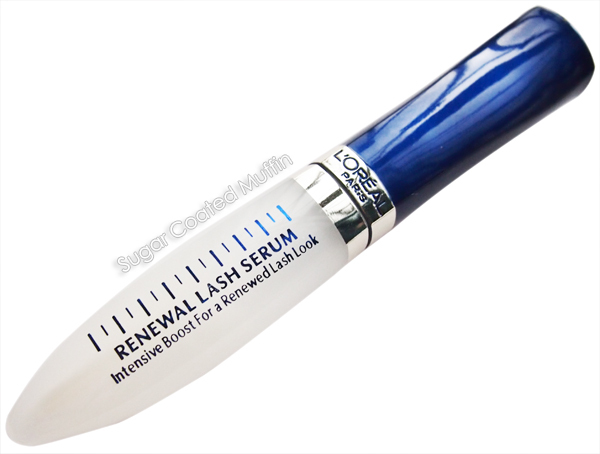 You see, when you apply the serum, it sticks your lashes together. Your lashes will fall off naturally but are still stuck there cos of the serum. So when you wash your face, they are 'released' and drop off. Ingredients : Aqua/Water, Alcohol denat, Glycerin, Hydroxyethylcellulose, Phenoxyethanol, Panthenol, Polysorbate 21, Madecassoside, Acrylamide/Sodium Acryloyldimethyltaurate Copolymer, Methylparaben, Octydodecanol, Isohexadecane, Sodium Hyaluronate, Arginine, Serine, Citric Acid, Glutamic Acid, Polysorbate 80, Sodium Hydroxide, 2-Oleamido-1, 3-Octadecanediol. ** Product was provided for review purposes. However, this has not affected my thoughts on the product in any way. You know what..? My bf suddenly asked me today "eh how come your lashes look so long today?" xD! I wonder if this product can work on me since my lashes is super short -.-, lol thanks for the review! OmG this product looks georgeus i want try! i can't seem to find anywhere:( Where can i purchase it?